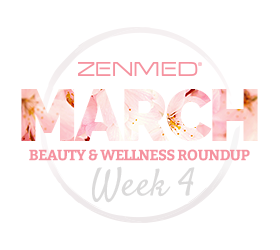 Every week we like to bring you a roundup of some of the latest trends in beauty, health and wellness. Last week, we came across some interesting articles on how hard it can be for women to age in Hollywood, the bottom line on colonics, confusion on the dangers of skin cancer, tips on headache relief, and what Gwyneth Paltrow considers essential for glowing skin. Oprah and actress Cameron Diaz dish on Hollywood’s perception of beauty in an OWN interview mentioned in the Huffington Post. Diaz shares how getting Botox is one of her biggest regrets and makes no apologies for growing older. The actress says she is tired of feeling like women are failures for gradually looking older. The newly released “The Body Book”, a lifestyle book by Diaz, is also discussed. Meghan Holohan speaks with medical doctors and advocates of colonics on whether they really have an impact on skin health. The colonic trend has been popular among Hollywood celebs for years, but do they work? Not according to medical experts. Gastroenterologist Dr. Linda Lee cites a lack of medical evidence as to whether colonics have any benefit. Additionally, results of a Georgetown University study revealed potentially dangerous side effects, such as bloating, vomiting, and even renal failure. A survey conducted by the British Skin Foundation reveals that only 40% of respondents believe skin cancer is deadly. Heather Saul reports that even fewer people have an understanding that skin cancer can spread. The article mentions actor Hugh Jackman’s recent skin cancer diagnosis, the importance of mole checks, and belief that only certain skin types can get skin cancer. If you’re eating processed or high sugar foods, you may just be causing your headache. This is just one of the tidbits on headache relief Yuri Elkaim shares with readers seeking natural alternatives to over the counter pain relieving pills. That headache may also be caused by dehydration, so increasing water consumption is one of the remedies Elkaim suggests. What else does he recommend? He says getting up and moving around will help increase oxygen flow, which should then provide fast relief. Hello! reports on Oscar-winning actress Gwyneth Paltrow’s skincare musts and how they have changed over the years. The actress counts sweating, detox and exercise among the secrets of her glowing skin, but also stresses the importance of a good skincare routine. In fact, she says that exfoliation is “super important” when it comes to glowing skin. We concur. ZENMED AHA/BHA Complex will gradually lift away dead skin cells, leaving skin looking more radiant over time.